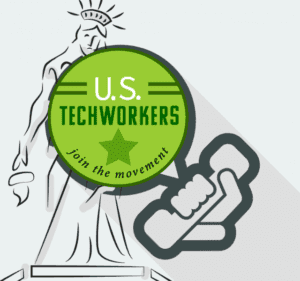 Starting on St. Patrick’s Day weekend, we launched our ad that encouraged Silicon Valley and other employers to hire U.S. tech workers. The ads will run for roughly two weeks. 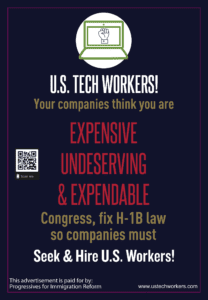 Although controversial, a quick read of the comments section of the print and broadcast attention garnered by the ads seems to indicate that tech workers in the Bay Area are supportive of the messaging.